WHAT IS BOOTS AND BLING? For those that have questions about what to wear to our upcoming Boots, Bling, and BBQ fundraiser. Put a little cowboy chic and sequins together…and off you go! TIES and HATS are NOT required!!! 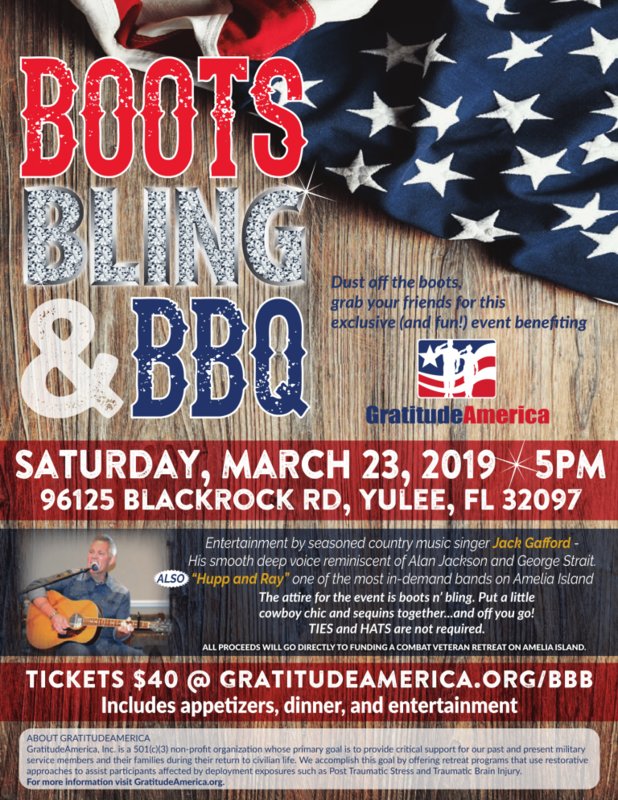 Looking forward to a fun evening, and raising money for for Veterans and their Support Persons to attend a GratitudeAmerica military support retreat. For ideas on what to wear you might take time to Google “Boots and Bling” or check out this website.